I’ve heard that you have to introduce new foods to kids like 5 times or so before they can really decide if they like something (or hate it). You’d think that tidbit of trivia would be useful to me, but I still have any annoying habit of deciding right away that something is either “for me” or “not for me.” The aftermath of my snap decisions is often a situation where I am slightly irritated to realize that I do like something after proclaiming the opposite. As part of my personal growth, I’ve been working on admitting when I’m wrong and finding peace with the fact that every day I learn things I didn’t know the day before. 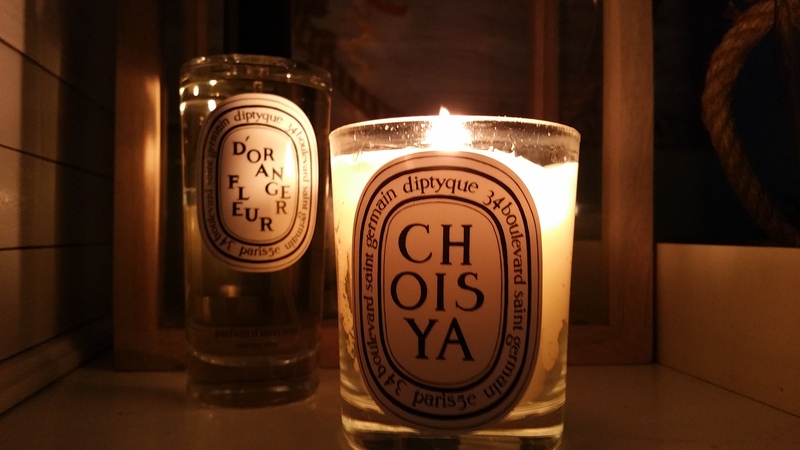 An excellent example of this was how I voiced my opinion on the Diptyque candle, Choisya, back here. If you follow me on Instagram then you already know that I have found faith, so to speak, in Choisya. 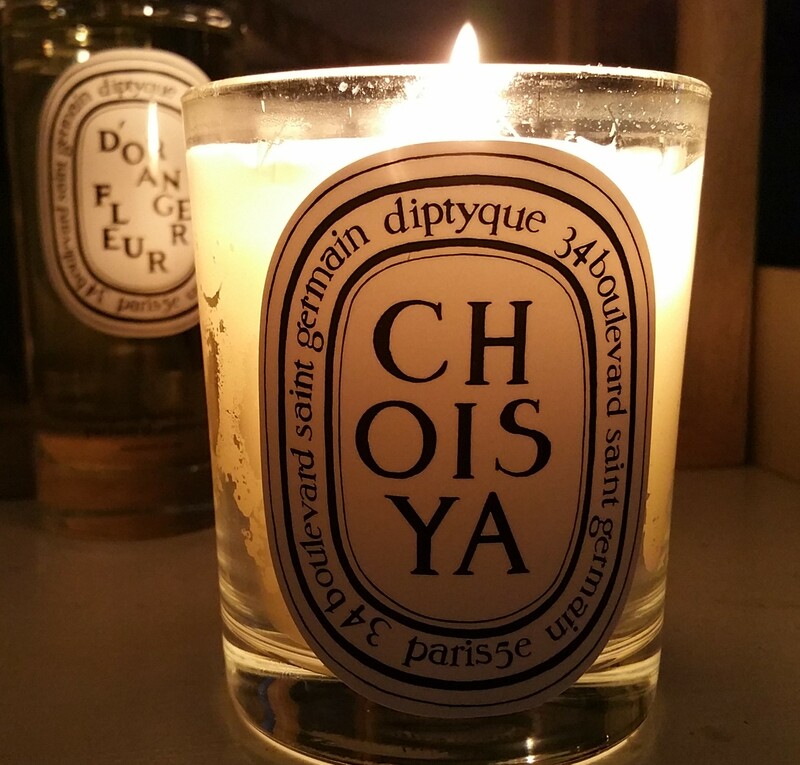 In my initial review of the candle I said that I had no particular desire to smell a “choisya.” But I am a convert. I do want to smell the lovely choisya, a/k/a mexican orange blossom, and burning Diptyque’s Choisya candle is the perfect way to do it. This has all come about since Eau des Sens was released. 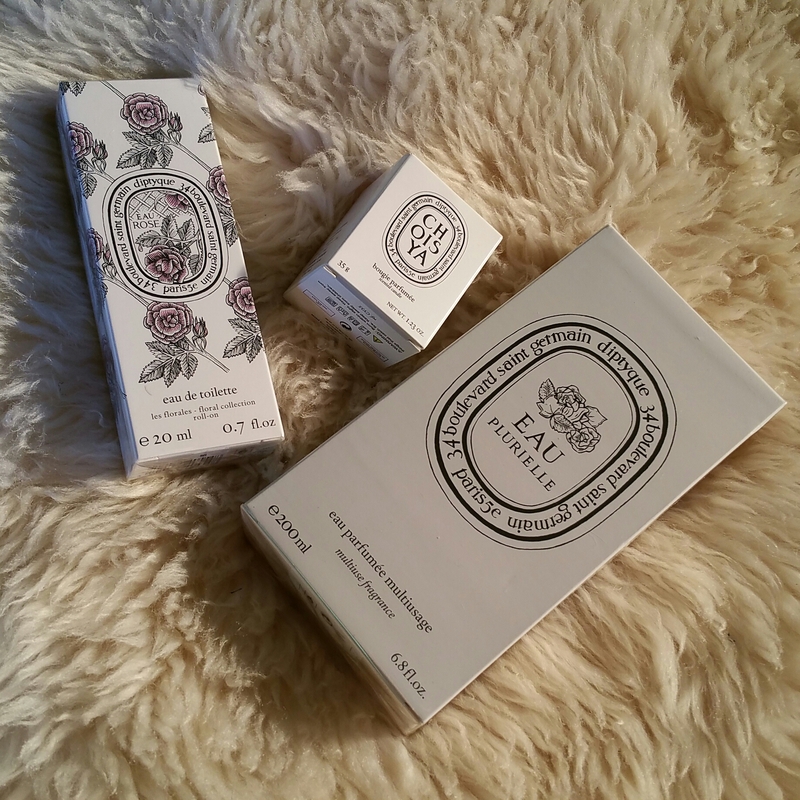 Right after it was launched I received a small Eau des Sens scented soap with an online Diptyque order. (I love ordering with promo codes, but in this case I really just thought I’d get a sample of Eau des Sens that I wasn’t crazy about, and forget about it. That didn’t happen.) When I unpacked my order from Diptyque, the first thing I smelled was the soap. I even kind of put aside the brand new candles I’d purchased and that were in the same box, so I could examine the Eau de Sens soap that had enchanted me. By the end of a day I had practically made a shrine to that soap. I put it in my drawer, then under my pillow, and then in my handbag, because I couldn’t get enough of that amazing scent around me. I hadn’t even tried the actual Eau des Sens Eau de Toilette yet, but I was eager to know why the soap was so heavenly to me. What scent in there was I suddenly loving for the first time? Diptyque’s description of Eau des Sens mentions orange blossoms and bitter orange, along with juniper and patchouli. I thought to myself, I don’t like any of those things! What’s going on? Around this time Diptyque also released a new room spray, Fleur d’Oranger, which I ordered to try out. Sure enough, after my first spray of it I realized it was the orange blossom all along that had been captivating me from Eau de Sens. So I pulled Choisya back out to make sure. And after letting it fill the room I could hardly believe I had missed how intoxicating it was. While enjoying this sensual pleasure of orange blossom, I also wanted to explore more of Diptyque. I’m sure it has to do partly with the change in seasons that explains why I’ve been loving florals so much. Or maybe it’s really about discovering a new facet of Diptyque that I had not been intimate with until then. Anyhow, up until that point I had pretty much ignored some Diptyque perfume samples of Eau Rose and L’Ombre dans L’Eau in my possession, until this new wave of love hit me and I decided to try these forgotten samples. Because I don’t like to wear perfume myself (I’m always afraid it will trigger a migraine or something), I instead sprayed them around my house. I fell for both scents – not that I was surprised. I adore the Roses candle and really like the Baies candle, which mirrors the scents in L’Ombre. By the way, Eau Rose is not straight-up “rose” scented. It’s rose with an accent of cedar and some other imperceptible goodies. It’s funny to me that I’m going on and on about a floral perfume, but in truth, Eau Rose is perfection and I can’t help it. So I went and ordered Eau Rose in the smaller size rollerball that’s currently offered. 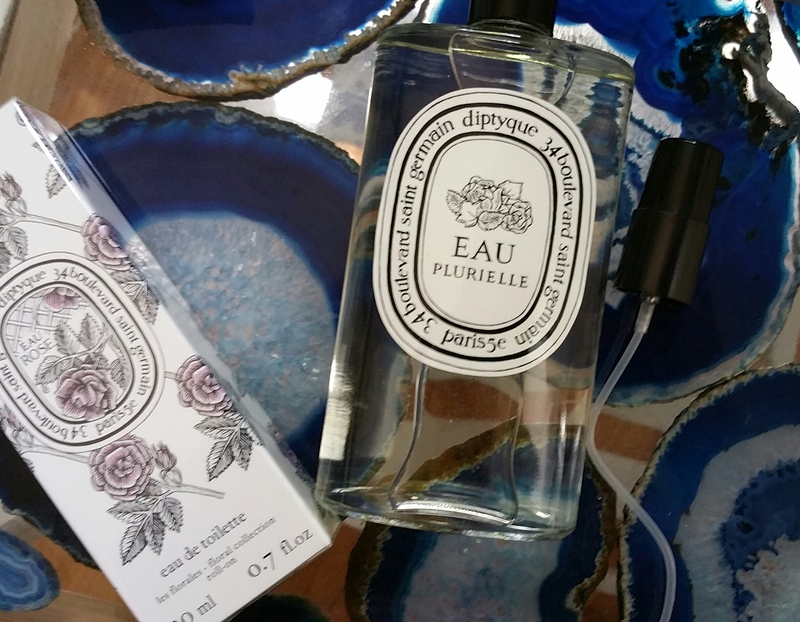 I was trying to exercise restraint (this is me being sarcastic–I know no such thing) with my Eau Rose size choice so I could also afford Eau Plurielle, which had hitherto only been a hauntingly beautiful image in my mind based on the packaging alone (which by the way, must have been a limited edition package! Mine came in a rather standard white box with black lettering). “Eau Plurielle: a rare scent with many different uses. However you want to describe them, Eaux Rose and Plurielle are heavenly. Especially since I have a newly discovered pet peeve for musty linens, I am tickled to have Eau Plurielle in my scent arsenal! I’m almost afraid to try more Diptyque Eaux and parfums, for fear that I’ll love them and feel the need to purchase them. Really, Diptyque hits hard on the wallet! What do you think? Love the Eaux too? PREVIOUS POST Previous post: 9 Summer Beauty Drugstore Finds – My Picks for Face, Lips, Body, Hair, and Sun Protection on the Cheap!